Dry hair can become unmanageable, lifeless and is difficult to style, wasting your time and testing your temper. Many of our customers ask us for Ideas on how to deal with dry hair that is causing them to “go nuts” because of the time it wastes and, frankly, no one wants to have their hair look haggard, tired and unhealthy. Over the years we have found a number of practices combined can help our customers, women, men and children, fight and win their battles against dry hair. Below are basic ideas to best deal with dry hair. the day will replenish what dry, forced air heat takes away through evaporation. Eat Healthy Oils – your hair, to be healthy, needs oils. Without oil your hair will look dried and straw-like. Help your body deal with the conditions with two servings of omega-3 rich oils. Add Biotin Supplements – Vitamin B has been shown to promote healthy hair, skin and nails. Supplementing your diet is healthy and general and improves your ability to have healthy hair. Moisturizing Shampoo– the right type of shampoo can be a high impact first step. Many brands of shampoo dry out hair because of how they are formulated. Basically they are soap – and that’s not good for your hair. 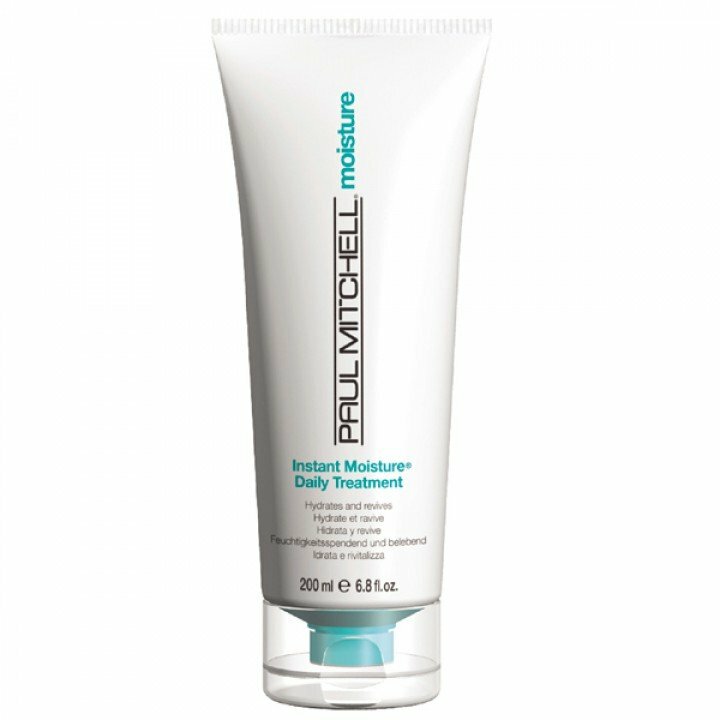 We have found Paul Mitchell Instant Moisture Shampoo and Redken All Soft Shampoo has worked great to begin the re-moisturizing process. They are both specially formulated to help hair reclaim moisture. Moisturizing Conditioner – again, specially formulated conditioners will help you hair retain moisture along with helping it look healthy. Our customers have had great success using Redken All Soft Conditioner or Paul Mitchell Daily Treatment Conditioner. Moisturizing Spray – Paul Mitchell Awapuhi Moisture Mist is a light spray on moisturizer for hair and skin. It revitalizes with a quick application and is also excellent for eliminating static electricity. There are a couple of “Must Do” activities required to help fight dry scalp. First, brush your hair and scalp vigorously with a soft (Boar Bristle) hair brush prior to shampooing is a must. This will loosen dry skin from scalp as well as stimulate sebaceous (oil) glands. Second, shampooing with a Tea Tree Shampoo such as Paul Mitchell Tea Tree Shampoo and Conditioner will help to treat and heal dry scalp. If you have any questions about your dry hair or dry scalp, call us at 608-833-1030 or email us and we’ll be glad to help in any way we can.